I am relatively new here. I have 302 hardtop 71 rebuilt into Spring Special replica. I am putting the car on a winter pause until spring due to potentially cold winter in Germany. So far I have replaced all body parts but roof. Replaced: gearbox, brake cylinder, all suspension, all air intake and all fuel delivery system, painted it brave yellow color. Still running original engine and rear end. 15 inch wheels. Magnum aluminium or chrome 7 and 8(rear) inch. Cooper or BfGoodrich tires 225 on front and 255 on back. Any fitting issues? Want to make a longer gear, still dont know how, I have new C4 without OD and assumingly 8inch 3:1 rear end. LSD modification for rear end, sometimes hard to get it going on wet. I ordered brake cylinder with vacuum power + plan to get front disk brakes. 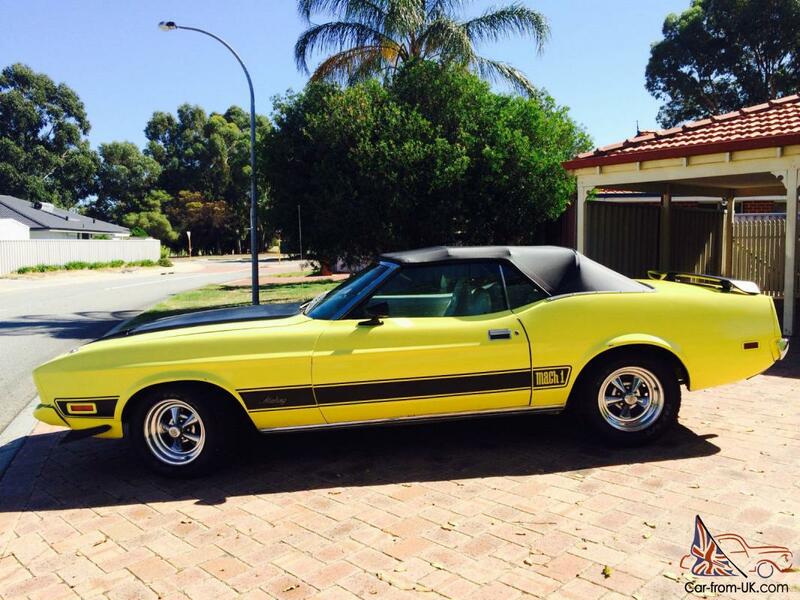 Add stripes like Eleanor in 74 gone in 60 seconds. Nasa hood paint still a question. That should be it for next year. Engine gives a very weird vibration, I try to explain. Around 2.5k rpm even standing. Not every engine rotation gives vibration, more like 3 out of 10. So drivetrain should be out of question. Maybe gearbox connection was wrong? Any insights or advices are welcome. On the vibration might be a misfire. I would start by pulling and inspecting plugs then move on to a compression check. I remembered a thread on the Tech Forums - Asthetics,Interior and Exterior; the thread is Tire size on Page 53, 3rd from the bottom of the page. They discuss the various tire sizes and fitment. Link is below. This looks like it would provide some of the answers you are looking for. Just wanted to say that all of you who live in a winterless geographies, that you are a lucky M*** ****s. Especially sunny Florida with its beaches. So jealous you can enjoy 15 months a year driving your ponies (yea, winter months count for 2) . It was already snowing here in Central Europe yesterday, it does not snow heavily here, but i treat this as a sign, winter is coming. I know i will be checking forecast every weekend to see if there is a sunny dry day. Yes, this is my first American classic car and I am still unhealthily excited about it. One thing that i still cant solve is the design of the body, maybe you can help me here, gents. 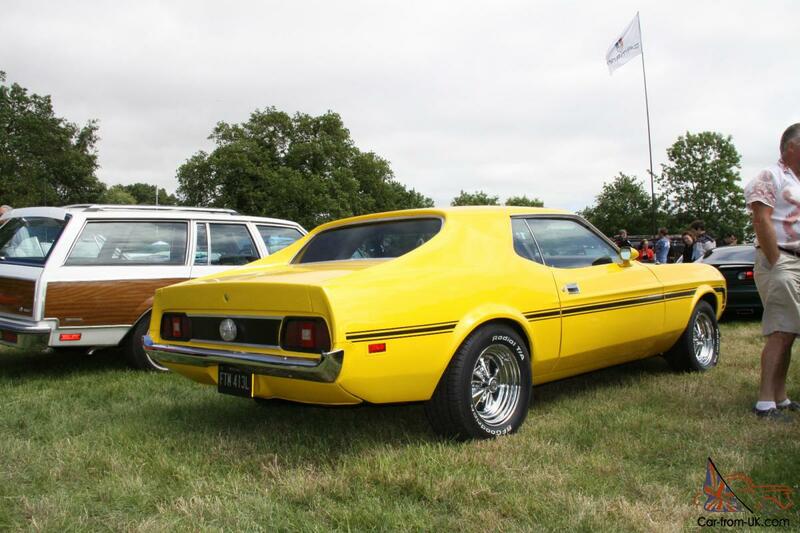 I have plain yellow now, i think standard Mach 1 (71, 72) stripes on coupe look a bit weird, no? What i am thinking about is common bottom black painting + usual nasa hood black print. So just skipping these side stripes which go all the way from the front lip to the back of the car. But I have never seen a car painted like this. 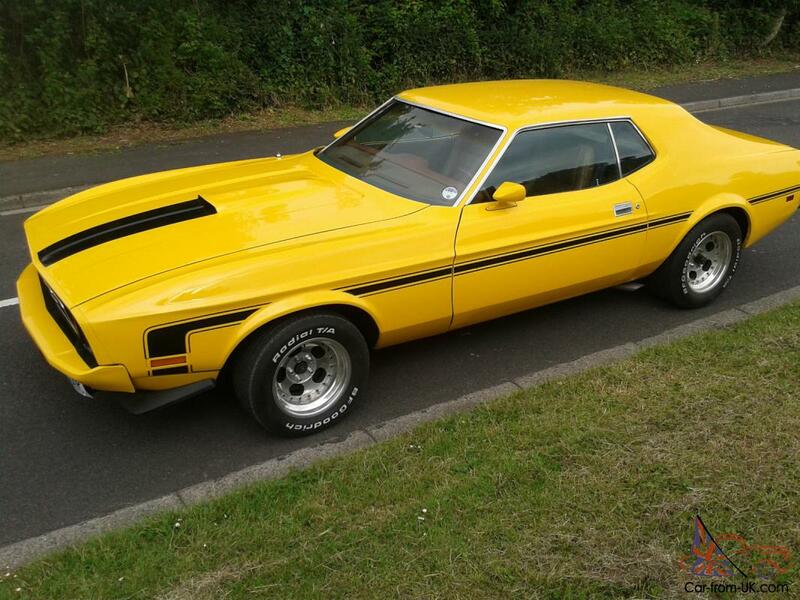 To be fair I saw 71 Mach 1 only once in my life about 7 years ago on retro autoshow in Moskow, so i am pretty much can only google these images and build mine from them. What do you think, have you ever saw one painted like that? Any other interesting hints you guys saw or plan to try regarding exterior design? 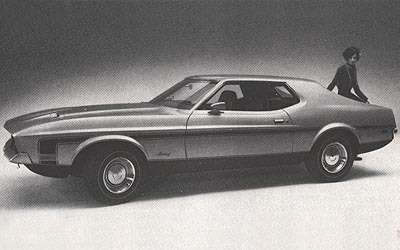 You might consider the '73 style Mach stripes to break up all of that color, or some variation of it. 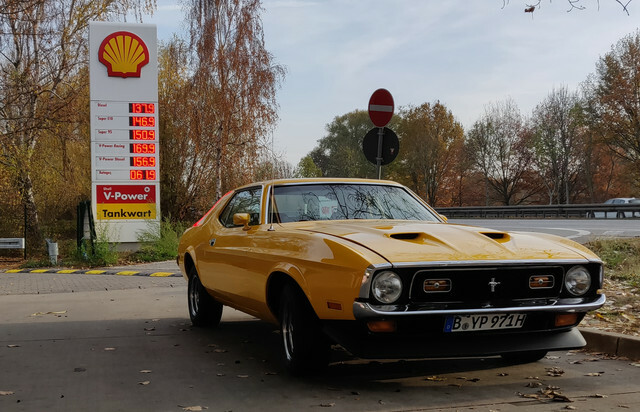 (11-22-2018, 05:52 PM)Don C Wrote: You might consider the '73 style Mach stripes to break up all of that color, or some variation of it. I would lie if i say this didn't cross my mind. I afraid this will be a very (cant find english word) strange setup. Frond from Mach1 71`, back from coupe, stripes from Mach1 73. Don't you this it would look stupid? I think it could look nice, if done properly, without any Mach 1 names. Here's some examples of both styles of stripes. Thanks a lot for your help and links, Don. I got your point, but i feel a see this a bit differently. The closest to ideal, in my opinion, is Eleanor. But something is just not right with "her" hood. I have a '71 sportsroof, white with the black rockers. There's just too much solid color on the side, looks like a blank canvas that needs something. I've played around with various ideas, and seem to always come back to something along the lines of the Mach stripes. I would like to follow the body lines, but that would look like a Challenger. 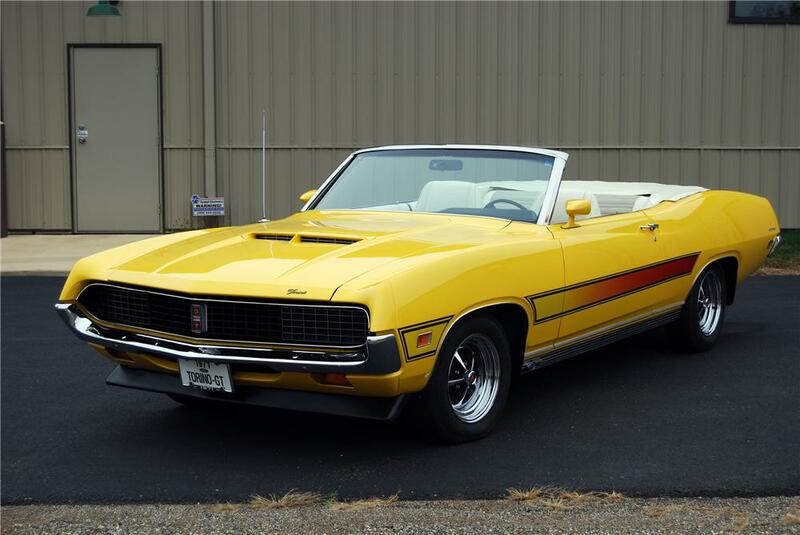 I've thought about faded stripes, like the Torino's, or maybe just an outline of either type of Mach stripes.